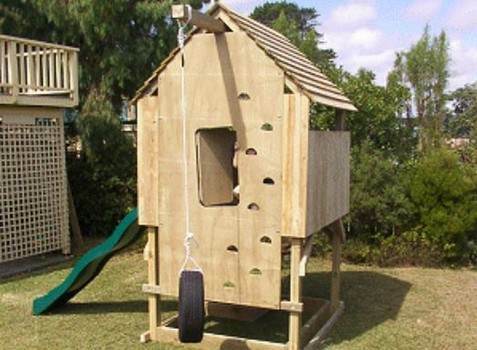 A playhouse can be a simple weekend project or a summer long investment of time, energy and money. With free playhouse plans, the choice is yours. There are many styles from which to choose, and countless variations to personalize your little one's dream house. Select an easy-to-assemble castle that breaks down for storage or a replica Victorian cottage that uses standard house framing and construction methods. 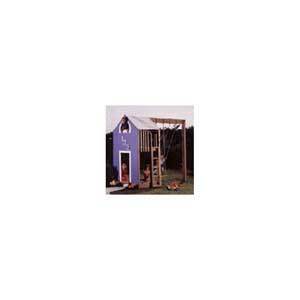 Many free playhouse plans come with material lists, building tips and resources to make your project a success. Whether you choose a clubhouse, castle or cottage, your child will spend countless hours of fun in his own personal hideaway. Many of these projects use stock materials such as latticework, stockade fencing and other pre-made pieces to make the job quick and easy. Make sure all components are weather resistant and completed with waterproof finishes. 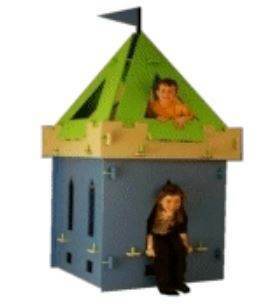 Create a unique and fun playhouse for your children. 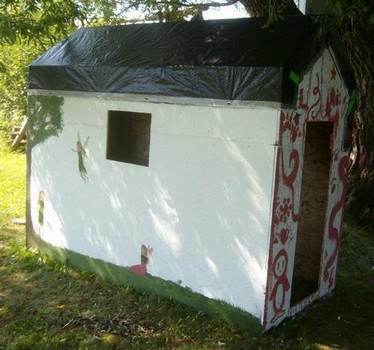 Retail playhouses can cost a fortune, but create one yourself for under $60. 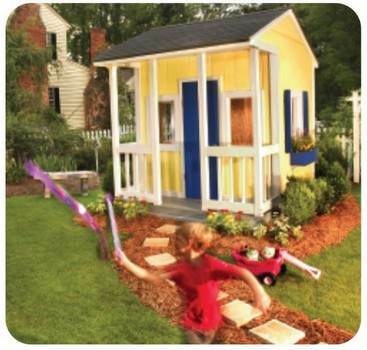 This darling playhouse is complete with a front porch with rails and lots of windows. This is a project for a playhouse with windows and a full size porch that kids will love playing house in. 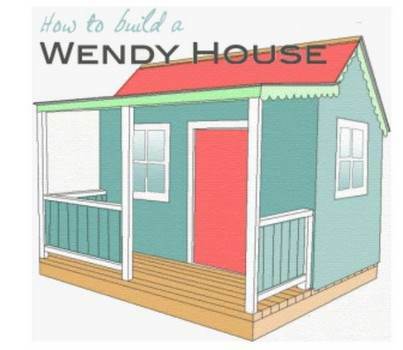 Step by step instructions for building a basic kid's play cottage. Build this castle playhouse that looks like its straight out of a fairy tale and is easy to put up and to take down for ease of storage. 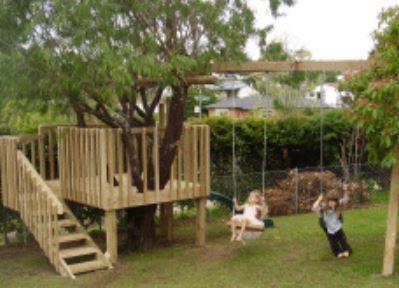 This is a platform built around a tree and includes a slide and swing-set. 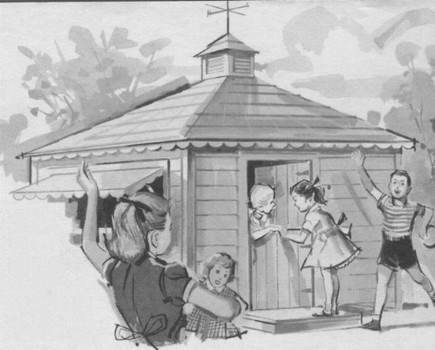 Here are plans for building an inexpensive playhouse that will provide hours of outdoor fun for your kids or grandkids. Give your kids a place to enjoy the great outdoors with this play fort that you can build using this easy to follow plan. 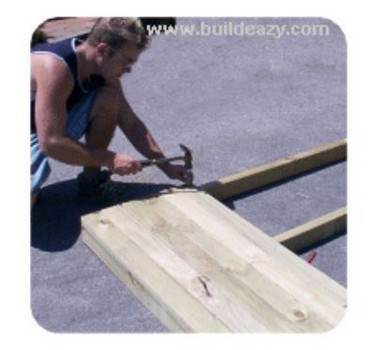 Build this strong and sturdy playhouse using these instructions along with helpful pictures. 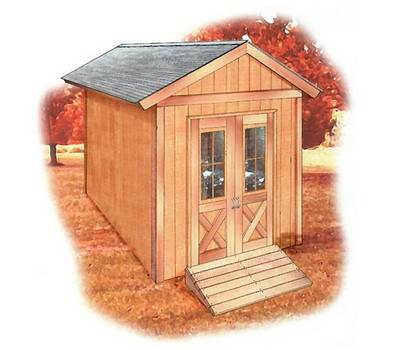 This is a nice, detailed plan for a shed but could easily be made into a playhouse. 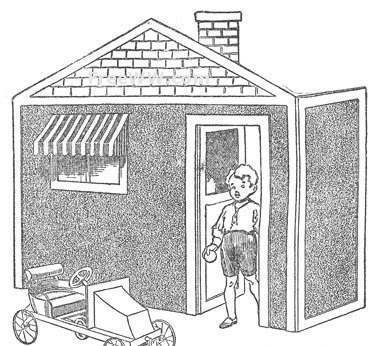 And when the kids have outgrown it, now you have a shed.